THE HOUSEHOLD GLASS CLEANERS CONTAIN AMMONIA, WHICH MAY DAMAGE AUTOMOTIVE SURFACES. OUR AUTO GLASS CLEANER IS FORMULATED FOR THE TOUGHEST AUTOMOTIVE JOBS WITHOUT DAMAGING AUTOMOTIVE SURFACES. 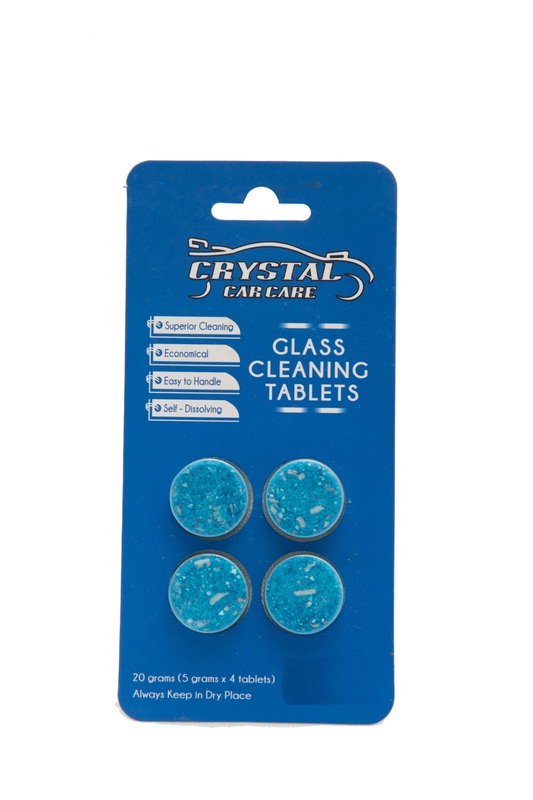 GIVES YOU SPARKLING WINDOWS WITH AMAZING CLARITY AND SHINE! 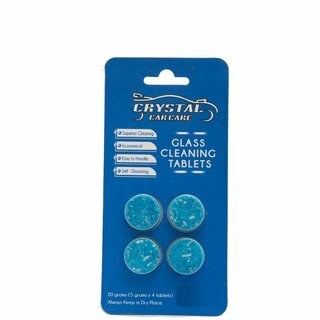 ONE TABLET GIVES YOU ONE LITER OF READY TO USE GLASS CLEANER. DISSOLVE ONE TABLET IN 1000ML OF WATER. THE SELF-DISSOLVING TABLET WILL DISSOLVE ITSELF AND YOU WILL GET THE READY TO USE GLASS CLEANER. SPRAY AND WIPE WITH CLEAN LINT FREE CLOTH/PAPER TOWEL TO GET STREAK-FREE GLASS. USE GLASS CLEANING TOWEL TO GET STREAK FREE CLEANING.